Good lighting on harbor cranes is important for productivity and safety. In addition, it is desirable to have as little maintenance as possible on the lighting on cranes. harbor cranes often stand in demanding environments, such as in salty air, and produce vibrations, so the lighting fixtures have to meet high standards. 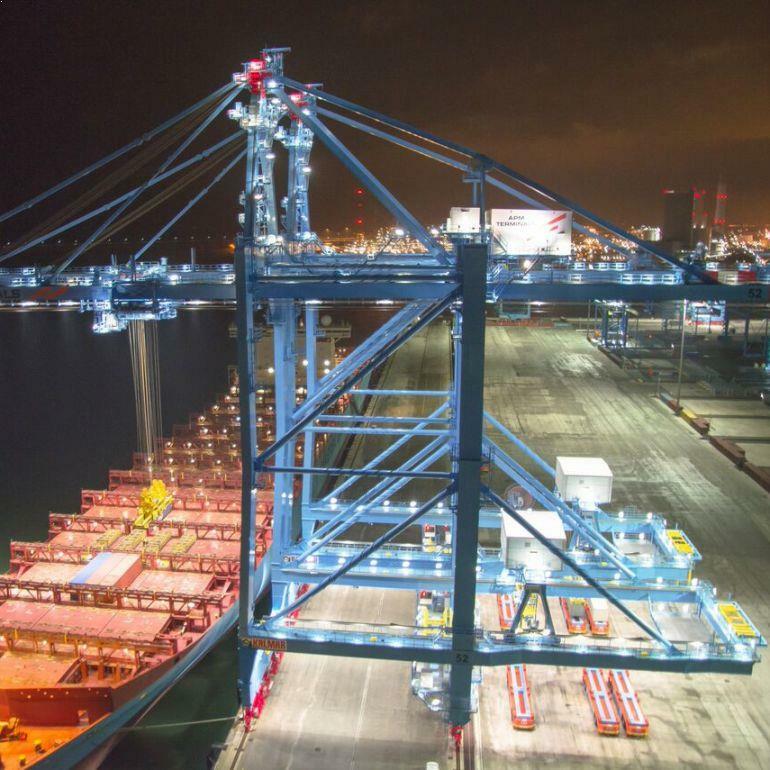 If a crane has to reach deep into the hold of a ship while the operator has to be able to look properly at the load, then luminaires are needed with narrow-beam lenses. 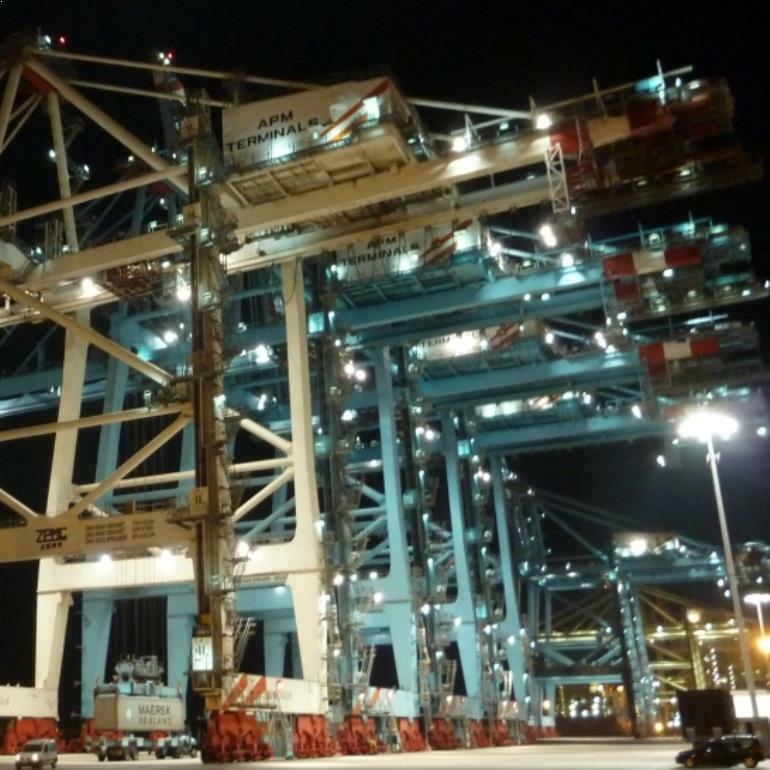 At the new Super QC cranes of RWG and APM-T on the 2nd Maasvlakte in Rotterdam are the main girders (head girders) to which the lighting is mounted at a height of more than 60 meters. The bottom of the hold of a ship, including the course of the quay, can exceed 30m. So the light has to bridge a distance of more than 90 meters. We have the right solutions for this. If a ship of 400 meters length with more than 20,000 TEU on board is alongside, then the containers are stacked to a maximum. This means that there would be light spots on the top of the containers if you only had narrow-beam luminaires. To counter this, wide-angle luminaires are also required. 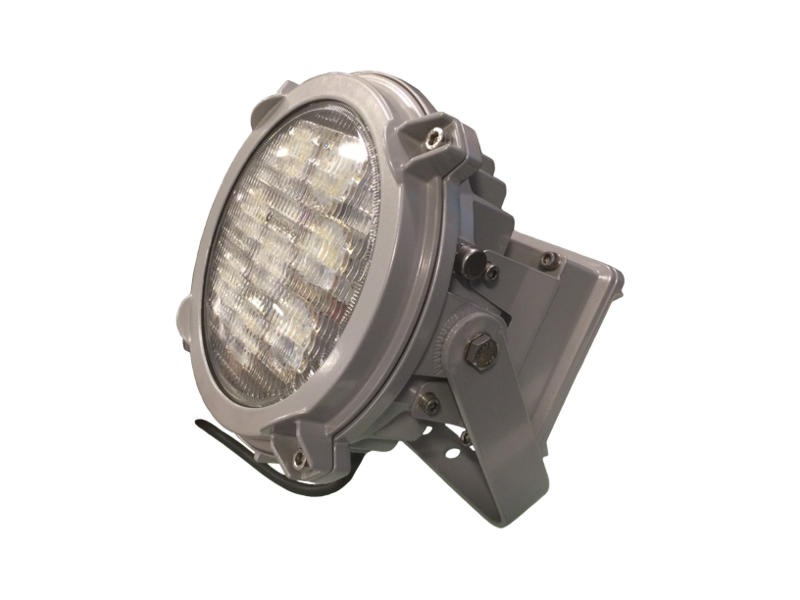 We have the experience and expertise to make an optimization with wide-angle and narrow-beam luminaires. Our lighting experts will gladly help you on your way. Wilt u meer weten over optimale verlichting voor haventerreinen? Neem dan contact op! Where should the light come? Primarily on the lifting load and the immediate environment because of the productivity and secondary in the wider environment and under the crane i.v. the safety. Often many harbor cranes are equipped with more than enough secondary lighting, while the primary lighting, for example on the trolley or under the cabin, is insufficient. We advise you on the optimal location of the light. Cranes are capital goods that must be unhindered at work. This means that they are often operational 24/7 and that they, therefore, work in the dark in a large part of the time. The lighting must therefore always work. Good light quality is important. 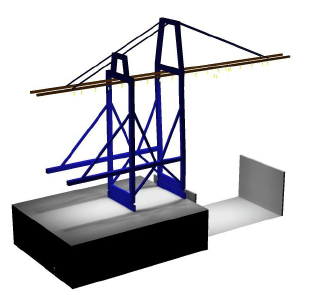 A study by one of our customers showed that the movements per hour on an STS container crane were approx. 7% higher when using our modern lighting with a high Color Rendering compared to the conventional High-Pressure Sodium (SON) lighting. During a period of 12 months, over the 4 seasons, this customer worked with the same team of crane operators on 2 cranes that worked side by side. One crane was equipped with SON-T luminaires (yellow light) and the other with a modern lighting solution from Yourlight (white light). The last crane was therefore significantly more productive. Good lighting on cranes also limits the chance of human mistakes. 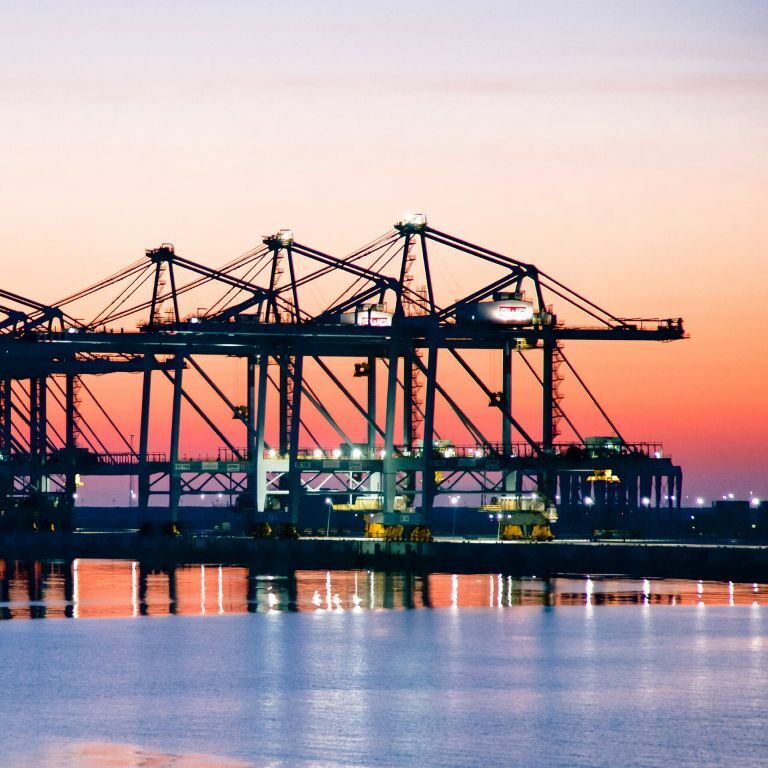 From large globally operating container transshipment companies such as APM-T, PSA, DP World and Hutchison Whampoa, to small locally operating harbor companies, safety is becoming increasingly important for everyone. Good lighting under and around a crane, especially when people are working in the vicinity of a crane is indispensable for safe working conditions. Let our lighting experts inform you how you can improve the safety around your cranes. Maintaining the lighting on high harbor cranes is a crime. It is difficult to get to the luminaires. Sometimes they are mounted on a platform, but in most cases, you can only use a platform, which in turn entails extra costs. 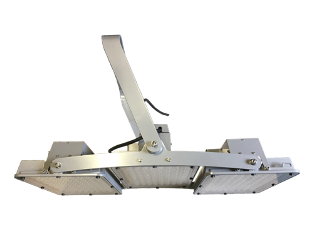 The fixtures from Yourlight are maintenance-free. 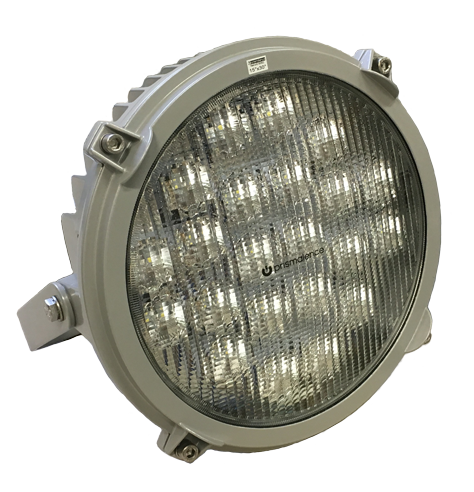 If something unexpectedly breaks a LED fixture, then that is almost always the driver. These are very easy to replace. 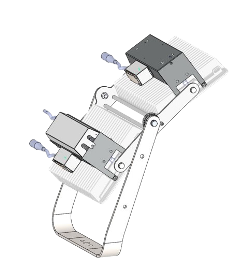 In addition, several luminaires are equipped with 2 or even 3 drivers, so that aris still 2/3 or half of the light remains if a driver should go faulty. This can then be replaced at the moment the crane is removed from production for general maintenance. Until then, the crane can be operational, without the safety being directly compromised. 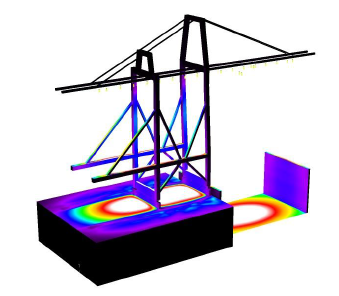 Our lighting designers are highly skilled and experienced engineers who have the expertise to design a lighting plan for the most complicated harbor cranes with the most modern computer programs. Neem contact op voor meer info en de technische data sheets van bovenstaande armaturen.